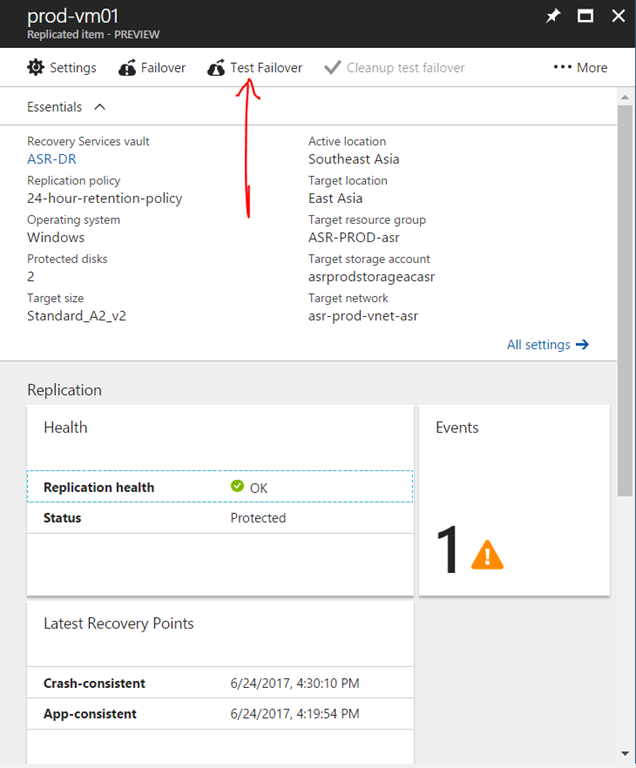 Update 04th July 2017 11:00 p.m.: Today Microsoft ASR team allow replicating Server 2016 VM’s (Azure-to-Azure DR) scenario as well. These VM’s can support Storage space technology. Can check my short video here. Kindly note this feature still in preview mode. Being said that I believe this is very important option for some customers. Based on customer feedback Microsoft has identified following points to justify this feature. You need to meet compliance guidelines for specific apps and workloads that require a business continuity and disaster recovery (BCDR) strategy. You need to test failover and recovery in accordance with your business and compliance needs, with no impact on production. You need to fail over to the recovery region in the event of a disaster and fail back to the original source region seamlessly. 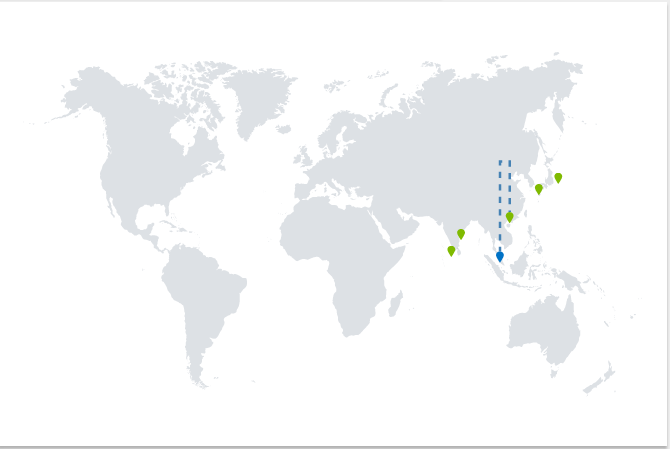 So being said that below are my observations on ASR for Azure IaaS VM’s. 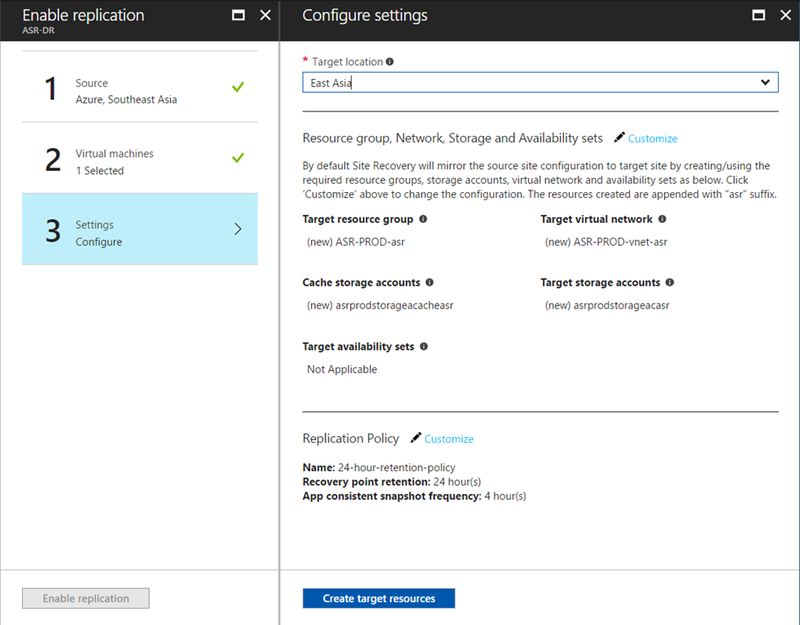 You Site Recovery Resource Group has to be created on different region and cannot be on the same region where you production VM’s exists. Automated replication. Site Recovery provides automated continuous replication. 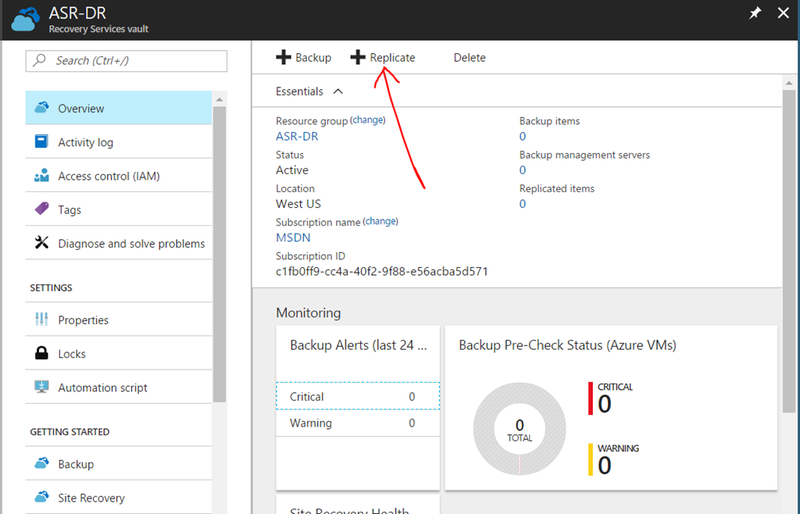 Failover and failback can be triggered with a single click via GUI. 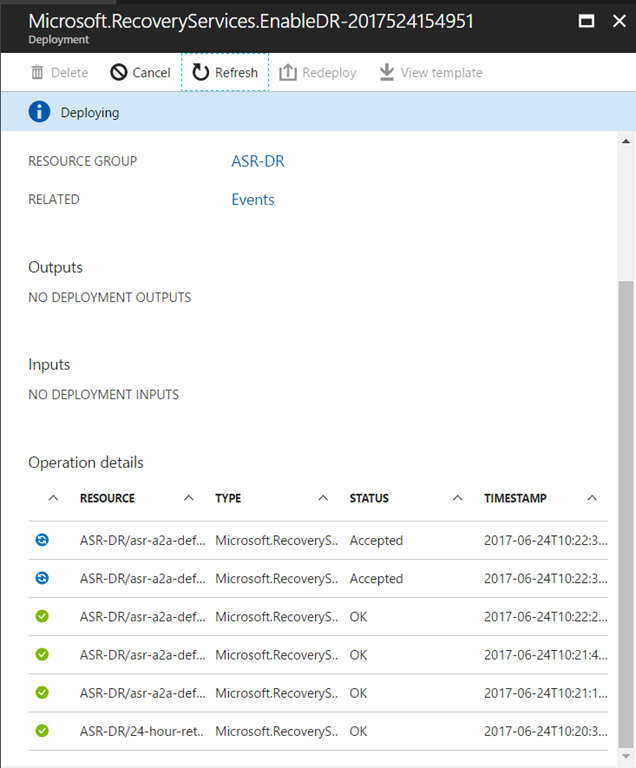 Just like protecting and testing on-premise VM’s to Azure, you can run disaster-recovery drills with on-demand test failovers, as and when needed, without affecting your production workloads or ongoing replication. To make things easier I’ve went ahead and created two RG (Resource Groups) in advance in two regions. I hope name convention is easy to understand it’s purpose. 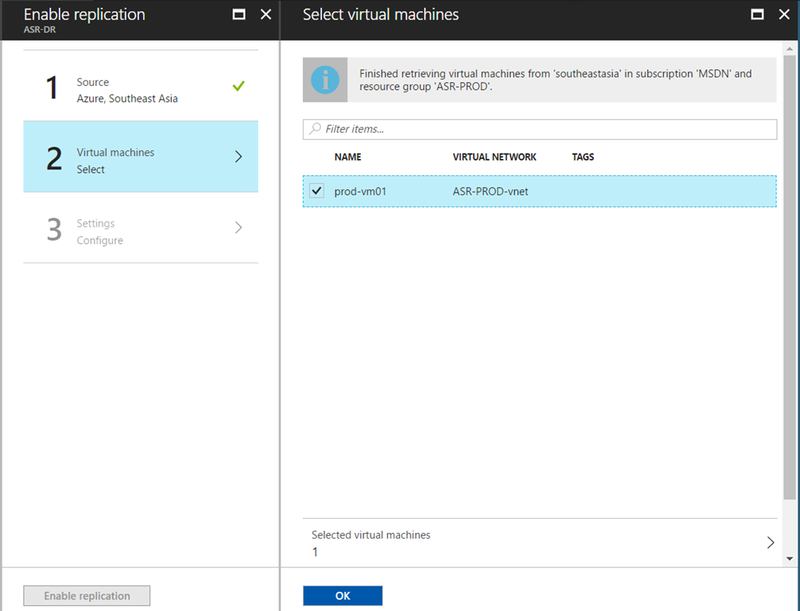 Inside the ASR-PROD I already created single Server 2012 R2 VM. So now we have a production VM ready to b protected. Next step is to create Recovery Vault on destination RG. Select the VMs you want to replicate, and then click OK.
if you want you can override the default target settings and specify the settings you like by clicking Customize. During my demo lab creation came-up with below mentioned error. Problem is newly added disk is not be initialized inside the guest OS. Due to that reason ASR unable to replicate that disk to DR site.